A fierce attempt in proving how dangerous silence really can be: the new Type: 007 [turquoise] by Promo. Ground pounding kicks make up 'No man's Pawn', a notorious return of the Promo sound. Squeaking basses and sharp edged synths disturb the brain in 'Silence is Dangerous'. Two tracks which together form a rough A-side. The B-side kicks off with a brand new song: phat detuned synths and a deep mysterious break joined together in 'Doing my thing' a track which shocked the masses at Qlimax 2006 - now available for all! The 12 inch is finished by 'Reign supreme', a popular track from Promo's Revolutionist album. Four distinctive titles plus a little bonus: Void Settler's interpretation of a Promo interview. 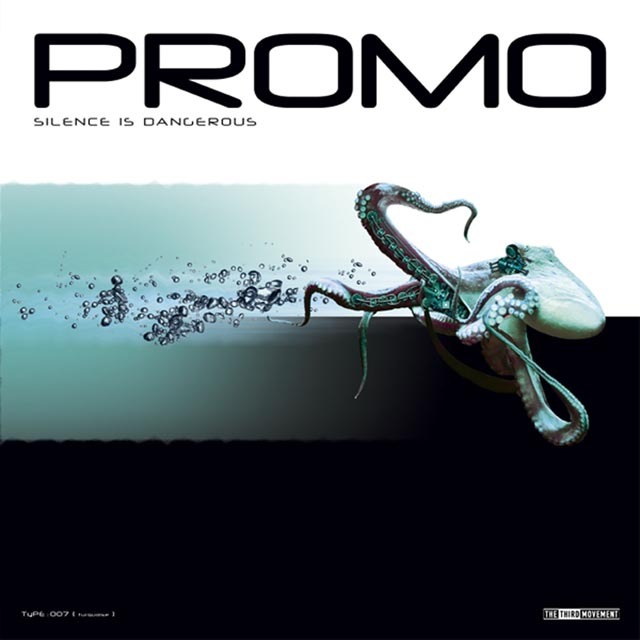 'Silence is dangerous', a quality release featuring the mainstream, the experimental and the humorous side of Promo Type!